I also digressed yesterday in looking at Aijo’s ideological background, his membership in Marxist-Leninist cadre organizations such as the Limonovite group, and the Communist Party of Great Britain (Marxist-Leninist). I am not even sure myself exactly what the Limonovites believe in, but the CPGB-ML clearly and predictably follows the Communist historical schism along the fault-line Marx-Lenin-Stalin-Mao. 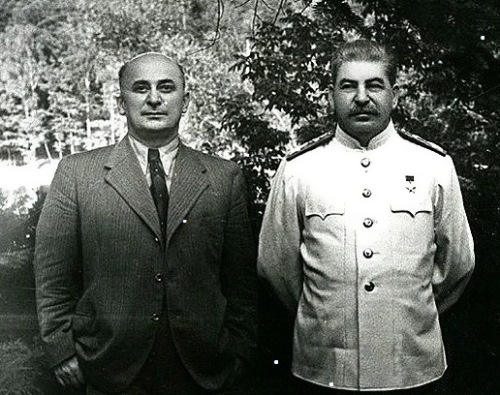 While despising Beria’s enemy Khrushchev and lumping Trotskyites into the same category as Social-Democrats. Both of which, I believe, are unfair, but this is not the right time or place to debate these fine points of historical feuds. On the other hand CPGB-ML appears to hold quite a laudatory platform of internationalist positions; skimming their manifesto, they appear to be on the correct side of the various conflicts and imperialist wars taking place around the globe. I reckon it was this geopolitical strategic vision which brought Aijo to the Donbass. And, by the way, one of the great things about recruiting from Leninist cadre organizations is that you will find these people to be the most disciplined soldiers. As if they had been training all their lives for that one mission. The next vignette is of a rebel code-named “Kuban” because he hails from the Kuban area of Russia. If you look at the map, the Kuban is that pokey-outey peninsula sort of thing on the Russian side of the Kerch Strait from Crimea. 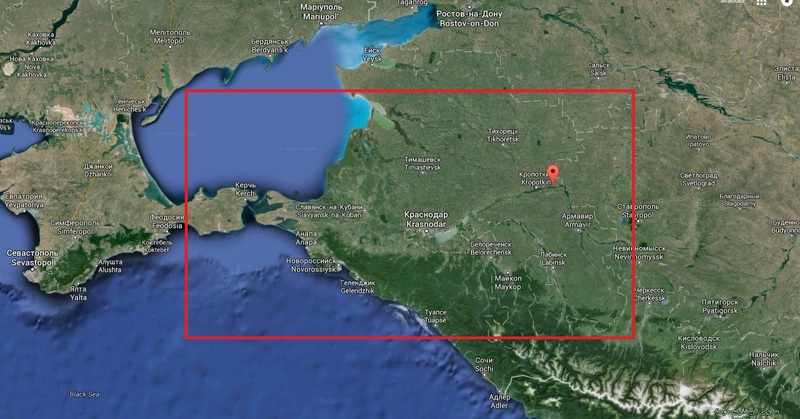 This is traditional Cossack territory. Kuban is so religious that, even in the trenches, he forbids his men to swear. “It’s a great sin,” he declares. And at the company HQ he has organized a prayer-room which resembles a chapel. The novel is set in a mysterious world where enigmatic Mentors run a sociological experiment. The mentors gathered volunteers from Earth from various places and times: from Germany of the 1940s, the USA of the 1960s, Sweden of the 1970s, etc. The volunteers do not know the goals or conditions of the experiment. In spite of different native languages the people can effortlessly communicate with each other. Most of the people live in the City that is skirted by a swamp on one side and a desert on the other. 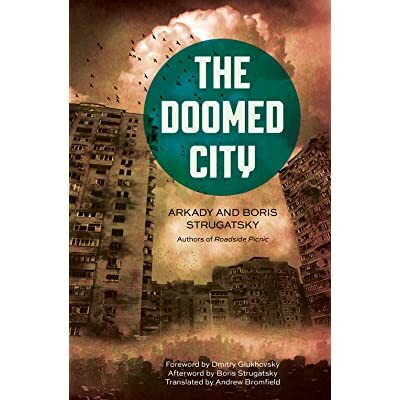 Apparently, the experiment runs out of control, the City is shaken by a social unrest and an egalitarian system of job rotations is replaced by a dictatorship. Izya Katman, a minor character in the story, is described thusly: Taken from Leningrad, USSR. Born in 1936. Abducted in 1968. Profession unknown. Physical description: tousled, fat, untidy and also inapproprately cheerful. Very well read and intelligent. Constantly cracking sarcastic jokes. Probably the most sound person of all in the Doomed City. Conducts experiments, trying to figure out what is going on, sneaks out and reconnoitres to the North, finds some lost inscriptions, etc. Our own Katz, Alexei Petrov, who used to be a journalist himself, tells the reporter that he is not fighting so much for the DPR army, but on the other hand, he knows exactly what he is fighting against: Fascism, Neo-Nazism and Ukrainian Nationalism. The inevitable conclusion: Never play footsie with Nazis. “People are different, but very few are interested in a specific ideology. There is just an intuitive, irrational sense of one’s own truth. That’s what it is all about. “You have visited with us today in the trenches, on the front lines. As you no doubt noticed, the men are worried about their meals, about getting cigarettes. They worry about their ammunition supplies and how we are going to move forward. This entry was posted in Military and War, Russian History and tagged Izya Katzman, Zakhar Prilepin. Bookmark the permalink.